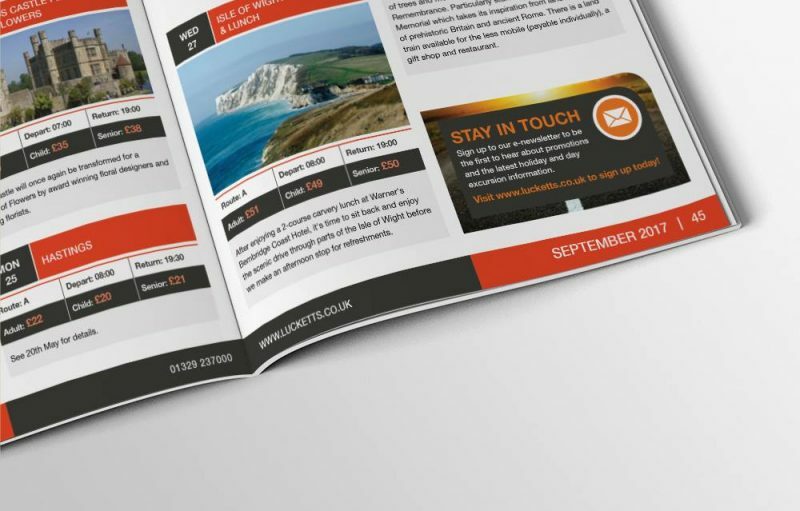 In the studio this week we’ve been creating exciting brochure designs for Lucketts Travel. They also run the Coliseum and Worthing Coach Travel companies, and we’ve been working with all three brands to create destination print material. Here’s a sneak peek of Lucketts Summer Excursion brochure, due for public release this month. It’s hard not to get distracted by some of the tempting holidays they offer, but it’s opened our eyes to some of the stunning places that are now on our list to visit, both in the UK and abroad.